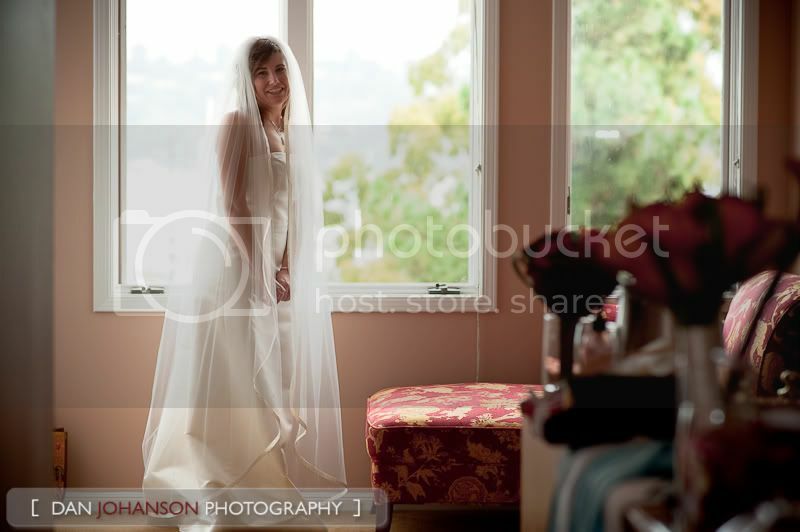 For the Bride/Groom The Casa Madrona is perhaps the most charming boutique hotel we've found in Sausalito. With sweeping views of the harbor and hills of Marin, the backdrop is stunning for any occasion. Provided the weather is warm enough, their outdoor Ceremony Deck is the obvious choice for the wedding, but can only accommodate about 75 . Like most of the hotel's facilities, its only accessed by a set stairs and may prove difficult for the physically challenged. If you'd like a more techie review, please read on but don't forget to check out our article on getting the most out of your wedding photographer. Photographer’s Review The Ceremony Deck itself is rather small and very difficult to move around on without causing a distraction to the guests. It's especially important here to keep the photographer's movement to a bare minimum. We suggest one photographer crouched down up front and another in the back or on the dining room level which overlooks the entire deck. When the guests transition to the reception area, this requires going down stairs and going up another set to the adjacent dining room. Not too bad, but again might prove a challenge if the wedding party has a high number of elderly or otherwise challenged guests. The reception/dining area is very cozy for groups of 60-80. We have a hard time here finding a good place to use our LCD projector here as there is no place which allows all the guests to see the slideshow. Nor is there really an adequate wall to project on, so we settle for using the corner near the entrance and bring our own projection screen.